A new fail-safe toxic gas detector that continually checks its electrochemical cell to give constant full-time protection has been announced by Minneapolis-based Sensor Electronics. 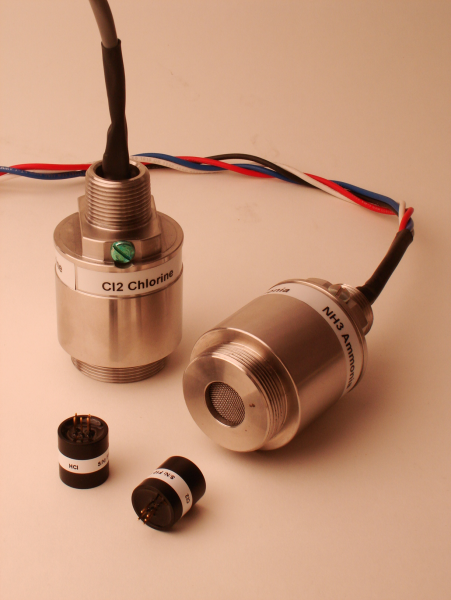 Problem with a conventional toxic gas detector is that its electrochemical cell can suddenly die without warning – because the electrolyte evaporates or leaks, or a failed internal electrical connection. “Solution” has been to frequently bump test the cell, or periodically replace it. Either method is costly, time-consuming, inefficient. In contrast, this new gas detector eliminates need for any scheduled maintenance. Instead, it continually checks its cell, flashing an alarm the instant it fails. Replacement is simply pulling the cell, then plugging in a new factory-calibrated cell assembly. Engineered to meet anticipated OSHA/EPA regulations, this detector can monitor more than 70 toxic gases, including chlorine, ammonia, carbon monoxide, nitric oxide, plus exotics like arsine, phosphine, titanium tetrachloride, tetrahydrofuran. Detectors can team with transmitters to show toxic gas levels on digital readout panels; color-coded LED’s glow green/amber/red if gas concentrations increase. 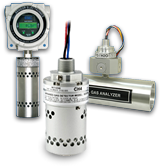 More information about these fail-safe gas detectors: Sensor Electronics, 5500 Lincoln Drive, Minneapolis, Minnesota 55436, www.sensorelectronic.com or sales@sensorelectronic.com.